Note: The article in the Journal for Clinical Studies can be found here and begins on P. 60. This is a time of great potential for those living with neuromuscular diseases (NMDs). The pace of progress in science is accelerating and transformative therapies are on the horizon. In just the last few years, the FDA has approved six NMD-related therapies, and many more showing promise are advancing through clinical development. Furthermore, precision therapies, which are designed to target specific genetic mutations and thus treat the underlying cause of disease rather than provide only symptomatic relief, have emerged as a viable approach across multiple NMDs. As access to diagnostic technologies improve, more patients than ever are receiving a genetic confirmation of their disease, unlocking the possibilities of precision therapies. Although an exciting time, this rapidly changing landscape requires a technological infrastructure that can keep up with the pace of progress. This past May, an article was published in the Journal for Clinical Studies titled “Accelerating Therapeutic Advancements in Muscular Dystrophies Through Shared Registry Platforms” that highlights the vital importance of clinical registries in harnessing this progress in neuromuscular disease research. 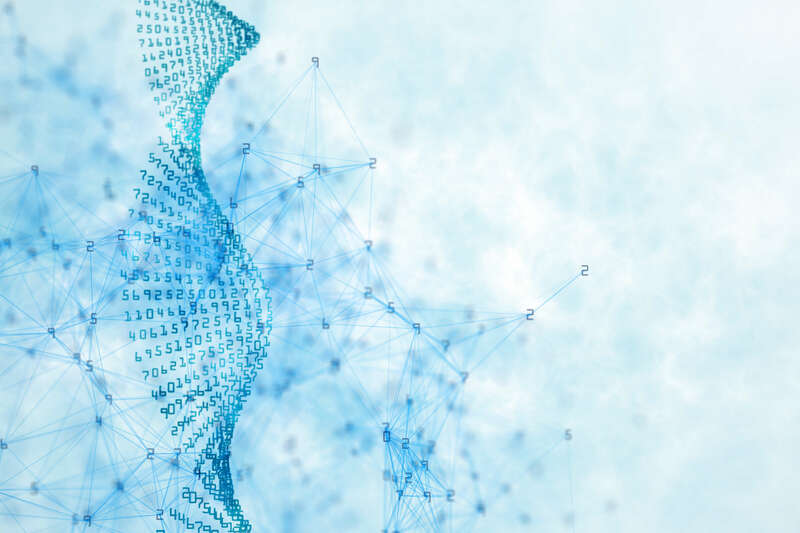 The article, written by technology firm IQVIA, calls for a registry that is large enough to expedite clinical trial recruitment, improve health care outcomes and leverage the power of electronic health records, analytics and information technology. As the umbrella organization for more than 40 neuromuscular diseases, MDA is well-suited to capitalize on this need and already has experience building this type of multi-disease registry. In 2013, MDA established the U.S. Neuromuscular Disease Registry in response to the growing need for comprehensive patient data that could expedite drug development efforts already underway. In five years, more than 3,000 patients have been enrolled in this registry covering four diseases: amyotrophic lateral sclerosis (ALS), Duchenne muscular dystrophy (DMD), Becker muscular dystrophy (BMD) and spinal muscular atrophy (SMA). To better serve the neuromuscular disease community, MDA is making a significant investment in infrastructure to expand this disease registry. This fall MDA is unveiling the NeuroMuscular ObserVational Research Data Hub, known as MOVR. MOVR is a registry that will collect and aggregate genetic, clinical and patient-reported data for multiple neuromuscular diseases, starting with ALS, DMD, BMD and SMA, at MDA Care Centers throughout the country. MOVR will be launched at 25 MDA Care Centers in late 2018 to start, with the intent of expanding to 50 sites and seven diseases starting in spring 2019. In the future, we hope to have MOVR set up at even more MDA Care Centers, with additional neuromuscular diseases added in time. The Journal for Clinical Studies article is informative for anyone interested in learning more about the impact of patient registries on NMD care and treatment, including how they can optimize health outcomes, accelerate therapy development and drive understanding of disease. MOVR is well-positioned to make such an impact in the NMD space by driving collaboration among MDA Care Centers and enabling health care providers at different sites to compare outcomes for patients across the MOVR network. Patient registries, which are opt-in (meaning that data is provided only with the patient’s express consent), aggregate data from different sources, including clinician-entered and patient-reported data. Capturing these types of data is crucial. Not only do registries aggregate small populations of rare disease patients into one comprehensive data set, they also can track disease progression over time. This data is valuable to companies interested in developing drugs for these populations. Tracking disease progression and determining which clinical measurements best predict changes in a disease help lead to improved clinical trial design and the development of appropriate outcome measures to better determine if a drug is effective in treating the disease. As drugs become ready to test in clinical trials, having an existing registry in place can help expedite the matching of patients to these trials. For example, if there is a clinical trial for a therapy targeting a specific gene, having a patient with a genetically confirmed mutation in that gene can help identify potential candidates who may be a fit for the trial. A registry is also important in other ways. For example, when a placebo-controlled trial is not an option, a subset of patients in the registry with a given condition can serve as a control arm in a clinical trial to compare against those patients receiving a certain therapy. MDA is excited about the potential of MOVR to provide data that will be meaningful to numerous stakeholders, from patients to clinicians to pharma and biotech companies interested in developing drugs for neuromuscular diseases. Although technology continues to evolve at a fast pace, MDA’s mission remains the same: to bring about treatments and cures our community deserves as quickly as possible.